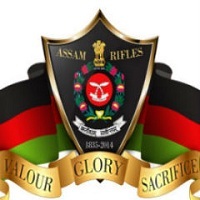 Assam Rifles Jobs Recruitment Notification 2018.In Directorate of General Assam Rifles, Nagaland, Manipur, Tripura, Assam, Mizoram, Arunachal Pradesh inviting applications for the positions of specialist MO/ MO.Interested and Eligible candidates can apply for the positions. Last Date for Submission of Application is on September 22nd, 2018..
Total number of vacancies to be filled in Assam Rifles is 35. A degree from a recognized university and registered with dental council can apply for Dental surgeon post. A recognized medical qualification included first or second schedule or part II can apply for GDMO post. Post graduate degree/ diploma holders can apply for specialist doctor jobs. Maximum age for applicants is 67 years. Selected candidates as specialist doctor will get monthly pay of Rs.85,000/- per month. Selected candidates as GDMO will get Rs.75,000/- per month. On basis of interview/ medical exam contenders will be hired. Mode of applying for Assam Rifles recruitment is through offline mode. 22nd September 2018 is the last date to submit applications. https://www.assamrifles.gov.in/ is the link to download application form and send to below given address. Headquarters Directorate General Assam Rifles, Medical Branch, Laitkor, Shillong-793010.